Walking is one of the most basic forms of exercise there is. It can be done by almost anyone of all fitness levels and ages, and requires very little equipment (if you’ve got a good pair of shoes, you’re pretty much good to go). Particularly for elderly people or those who are suffering from mobility issues or an injury, it’s one of the gentlest and easiest ways to get moving. What’s more, walking can be a great way to burn fat. Here are four great walking workouts to incorporate into your daily or weekly routine. It’s easy for people to say that they don’t have time to exercise, but it’s incredibly easy to get a short fat-burning walking workout in during your lunch break. Recent research suggests that just one hour of physical activity a day can offset the negative health effects of sitting at one’s desk for eight hours. You can easily clock off 20 to 30 minutes of that requirement by picking a destination that is approximately 10 to 15 minutes away on your lunch break and briskly walking there before heading back to the office to reward yourself with a healthy lunch. You’ll get in a bit of activity and still be back for work with plenty of time to spare. When the weather gets bad, the last thing you want to do is walk around outside. 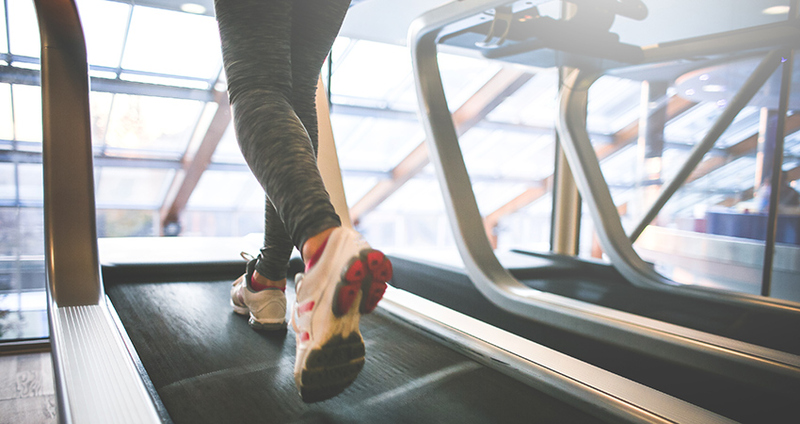 At times like this, you can still get your walking workouts in if you have access to a treadmill. But don’t just walk at same pace the whole time; instead, try varying it up. The following fat burning walking workout comes courtesy of Lee Scott and Prevention. It only takes 30 minutes in total, but don’t let it fool you — it gets pretty intense. For the first five minutes, warm up at 3.4 miles per hour. Once that’s finished, you’ll enter your first interval section. For six minutes, repeat alternating 60-second intervals of 4 miles per hour and 3.4 miles per hour. After that section is finished (11 minutes into your workout), you’ll begin your second interval section. This will last for five minutes and will feature 40 second intervals at 4.2 miles per hour and 20-second recovery intervals at 3.4 miles per hour. Your third interval section will begin 16 minutes into your workout and will last for five minutes. During this phase, you’ll alternate between 30 second intervals at 4.4 and 3.4 miles per hour. At 21 minutes into your workout, you’ll enter your last (and possibly most challenging) phase. Section four will last for five minutes and alternate between 20 second bursts at 4.6 miles per hour and 40 second recovery intervals at 3.4 miles per hour. When you finish this last section (26 minutes into your workout), you’re ready for the cool down. Walk at 3.4 miles per hour for four minutes and let your heart rate come back down. For four minutes, walk at a good warm-up pace. Then, for five minutes, alternate between walking normally for a minute and taking extra long strides for a minute. For the next four minutes, you’ll alternate between walking lunges and regular walking (again using one-minute intervals). Return to your extra long stride intervals for four minutes, then do walking lunge intervals for four minutes. Continue to alternate between four minute sets of lunging and long stride intervals until you hit 30 minutes. Then cool down. This one is different than the other walking workouts we’ve discussed, but it’s nonetheless a great way to burn fat and become healthier. A lot of us spend most of our day essentially motionless. We sit in the car on the way to work, then ride the elevator up to our floor. Then we sit while working, drive back home, and relax on the couch until it’s time for bed. If you simply add more motion to your life, you’ll burn fat and feel healthier. Try taking the stairs instead of the elevator. 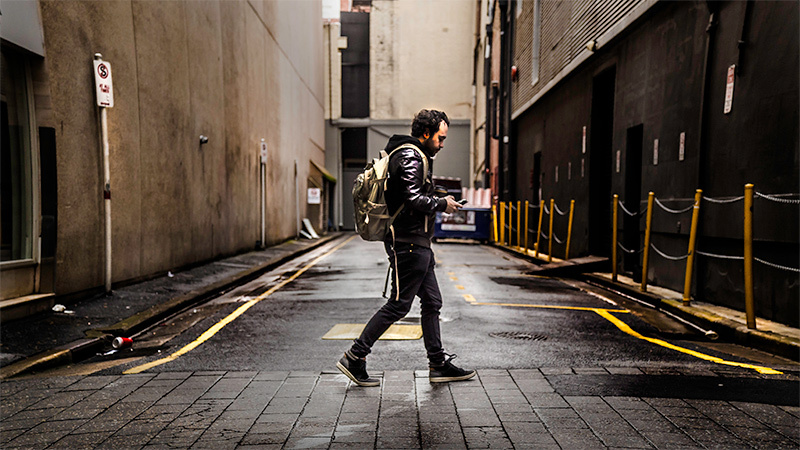 Instead of cruising the parking lot for a spot as close to the door as possible, park further away and enjoy your walk. If you have errands to run that are within walking distance, try hoofing it instead of hopping in the car. There are a lot of ways to add walking into your day, and they all can help you. You might try getting a pedometer (or a pedometer app for your phone) and tracking your steps. Try getting at least 5,000 steps each day. Then, when you an easily achieve that, try to work your way up to getting 10,000 steps per day. Every little bit helps!